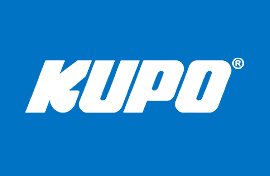 Kupo Grip was established in 2000 at the dawn of the new millennium. 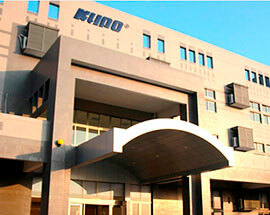 KUPO's factory and production base, initiated in Taipei decades ago, was moved to Dongguan in 2002 for fulfilling rapid growth of needs in engineering and manufacturing, followed by a relocation to Wuxi in 2006 for serving the emerging market in central and northern area in China. By the end of 2014, our Taizhou factory newly came into operation. 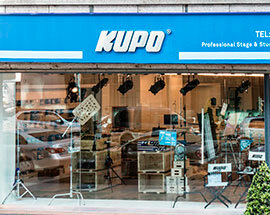 First f​ound​ed​ in July 2016 in Taipei, Taiwan​, this brick-and-mortarr Kupo store is the spot to get what you need for professional films, lightings or grip equipments. Exceptional service paired with ​a group of​ knowledgeable staff in a well stocked​ place is a great “Toy Shop” to find gears you need and discover gears that you didn't know existed.